Lionel Richie announced 2016 UK dates – is it him you’re looking for? We’re not saying he’s cashing in on Adele’s ‘Hello’ smash hit (tell me you don’t immediately sing ‘is it me you’re looking for’ after her internet-melting opening line). We’re also not saying he’s not cashing in on it. 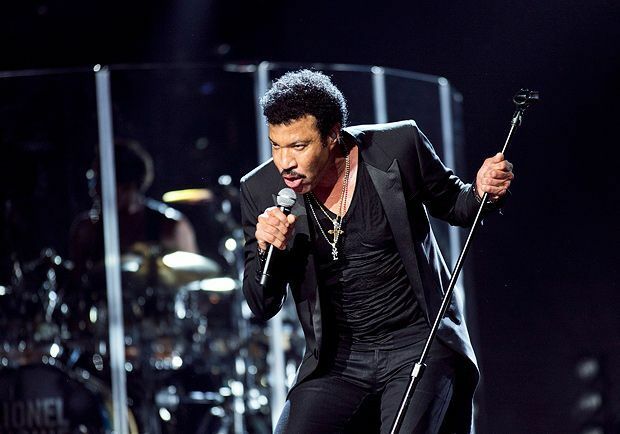 All we know is that Lionel Richie’s returning to the UK for a big old tour. Richie played a triumphant set to about 120,000 Glastonbury-goers this year (that was the biggest crowd of the weekend, guys) which led to his album The Definitive Collection rocketing to the top of the charts for the first time in 23 years, and GQ magazine awarding him an Icon Award. Not bad for this year’s festival ‘novelty act’. Richie promises to bring the party atmosphere in shows that will celebrate ‘All the Hits’. Since his career spans decades (he’s been going since 1968, when he started singing and playing sax with The Commodores), that’s a lot of hits to choose from. Which means you should probably gear up for the likes of ‘Dancing on the Ceiling’, ‘All Night Long’ and, but of course, ‘Hello’. Richie’s tour kicks off in June next year, taking a break from a Planet Hollywood Las Vegas residency, and, once he’s treated Manchester and London to some of his signature smooth soul pop, he’s heading back out there. How the other half live. Tickets for Lionel Ritchie go on sale Fri 27 Nov at 9am. The slick soul funk maestro delivers the evergreen hits all night long.